• 40mm x 25mm channel on the underside allowing for hose/cables to be located in. 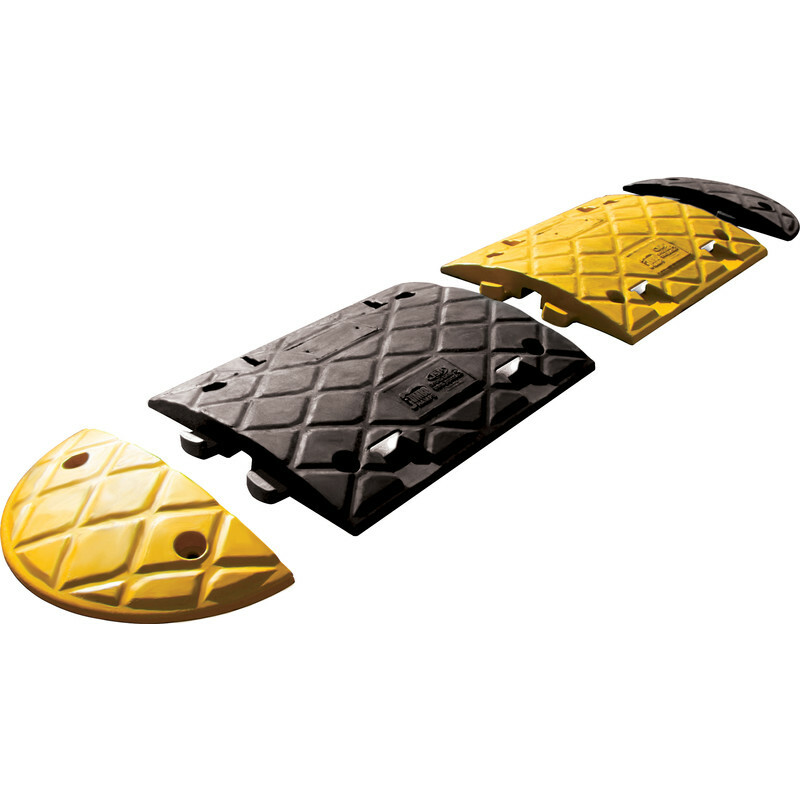 JSP Jumbo Speed Bump 5cm Height (2 Pack) is rated 3.0 out of 5 by 2. Rated 1 out of 5 by Anonymous from Not great The product isnt wat it shows in the picture. I was expecting it to be the colour as in the published. Your supplier JSP would supply the correct colour I would have thought. Also, the delivery was delayed and we were not updated on the late delivery. The bolts were required for a H&S audit. The bolts arrived a day after. Rated 5 out of 5 by Christine2050 from Sleeping Policemen! These speed bumps turned up on time. They were easy to fit. We have installed them outside our main gates. They help prevent delivery drivers coming into the yard too quickly. They are painted yellow and black and are highly visible at night.